Based in Chile. José is a human rights lawyer specializing in indigenous peoples’ and citizens’ rights in Latin America. He is currently acting Co-Director of the Observatorio Ciudadano (Citizens’ Watch), an NGO promoting the respect of human rights in Chile ( El Observatorio Ciudadano is a Member of the Consortium). José has worked closely with different indigenous peoples in Chile and other Latin American countries, and has published extensively on the topics of indigenous peoples’ land rights, conservation, globalization and human rights, throughout the region, and in Chile, in particular. If you are able to read in Spanish, please see his excellent work Los desafíos de la conservación en los territorios indígenas en Chile , in which he discusses ICCA examples from all over the world and advocates for a much stronger engagement of indigenous peoples in governing lands and resources for conservation in Chile. He also co-authored a recent joint publication of the Observatorio Ciudadano and the ICCA Consortium: Cuestionando los enfoques clásicos de la conservación en Chile: El aporte de los pueblos indígenas y las comunidades locales a la protección de la biodiversidad, which reflects on dominant patterns of state and private conservation and the need to recognize ICCAs in Chile. 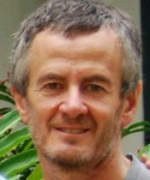 José is a legal collaborator of the International Work Group on Indigenous Affairs (IWGIA). He currently teaches at the School of Law at the Universidad Austral de Chile, in Valdivia.